Hi! Welcome to the blog. We have had a big break lately because of the school holidays! I've decided to make a blog about the one thing I did at the beginning of the holidays. I am going to tell you about a movie called Minions because it was a excellent movie, that in the end connected well with Despicable Me 1 and 2. I saw this movie with my two brothers, my mum and couson. At the beginning of this movie, the Minions were looking for a boss that was truely evil but they could not keep one for long! This movie was happy at times but was also very action packed. I liked this movie and I would give it a 5/5. My favourite part of the movie was probably when three of the minions got the weapons, like the lava guns, the hitno hat and a stretching suit. 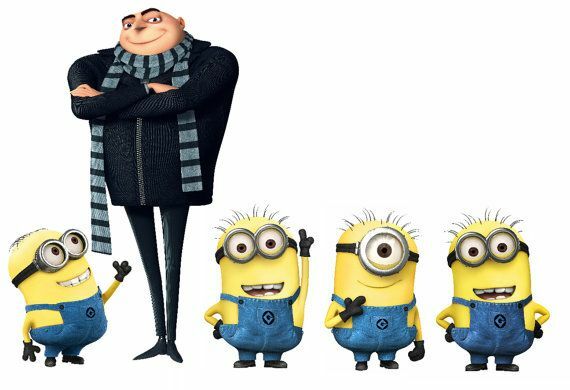 Another part that I also enjoyed was when the minions found Gru at the end to be their new leader. I hope you enjoyed my post and I will see you next week. Wow looks like you had a fun holiday!